To remain relevant, many believe the industry must change by embracing new technologies that solve old problems. Safety. Proliferation. Waste management. Economics.These are the issues that have held back the potential of nuclear power, and which continue to do so, even at a time when the world desperately needs energy sources that don’t fill the air with carbon or pollution. If nuclear power is to remain an important supplier of clean energy, many believe it has no choice but to shed its dirty image. This means the industry must show that accidents like Fukushima, however improbable, are virtually impossible; that waste can be safely managed over the long term, and even eliminated; and that nuclear power can be produced competitively on an open and level playing field with other energy sources, including natural gas and renewables. Below are some technologies and approaches to nuclear development that could boost the industry’s fortunes – if they work. The world’s largest stockpile of plutonium is currently stored in the United Kingdom, which over the decades has extracted about 118 tonnes of the dangerously radioactive substance from used nuclear fuel. The U.K. government and its Nuclear Decommissioning Authority, which manages the stockpile at great public expense, are now trying to figure out what to do with it. One option in the running is to build a new generation of nuclear reactor that can safely burn that plutonium directly as fuel, leaving behind a dramatically lower volume of waste that would remain highly radioactive for just hundreds rather than thousands of years. The prospect of permanently reducing stockpiles of fuel waste and generating emission-free electricity at the same time may seem too good to be true. But that’s exactly what a joint venture between General Electric and Hitachi is aiming to do with its PRISM fast neutron reactor. “The genesis of the PRISM concept occurred (in 1981) when I was still in college drinking beer,” explains Eric Loewen, GE Hitachi Nuclear Energy’s chief consulting engineer. The reactor builds on the Experimental Breeder Reactor II, which began operation in 1964 and was run successfully by the U.S. energy department’s Argonne National Laboratory for 10 years. Loewen says a PRISM “power block” – composed of two side-by-side reactors with total output of about 600 megawatts – was designed so that it could be built less expensively in a factory, the same way GE builds jet engines and locomotives. In addition to tackling the waste issue, PRISM is also being touted as an inherently safer technology than conventional fission reactors. For one, it uses sodium instead of water as a coolant, meaning no pumps or backup generators are required for keeping the fuel cool if the grid unexpectedly goes down. This passive sodium cooling system “can remove residual heat from the core forever,” says Loewen, pointing out that backup systems for conventional reactors typically last only seven days or less. And the price tag? “We feel very comfortable it’s going to be cost-competitive,” he says. GE Hitachi isn’t the only company pursuing fast reactor technologies that can consume used nuclear fuel. 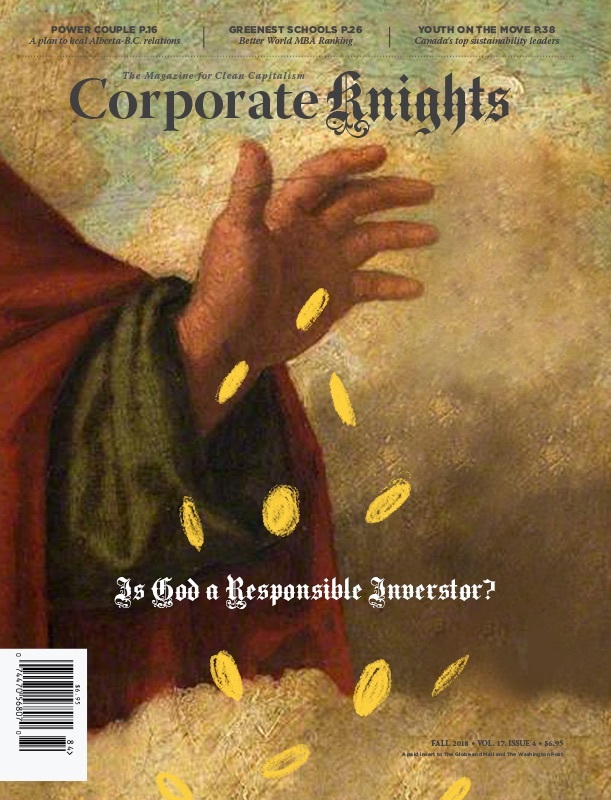 Others include General Atomics and TerraPower, which counts Bill Gates as an investor. PRISM could be called a modular reactor because it is designed to be built in a factory setting and has a relatively small output compared to today’s conventional reactors, which are generally 1,200 megawatts or more in size. But a true modular reactor is defined as one under 300 megawatts. For decades the trend in the nuclear industry has been to build reactors larger and larger on the belief that savings could be achieved through economies of scale. The problem is that projects became more complicated, delays and cost overruns grew more common, and the price tag for reactors was often larger that the market capitalization of the utility that was purchasing it. It made nuclear plants a risky bet, and put more pressure on governments – i.e. taxpayers – to backstop them as a way to attract private-sector investment. For utilities, larger reactors meant larger points of failure on the grid, and much bigger problems if something went seriously wrong. Several years ago this trend got thrown in reverse. Major industry players such as Babcock & Wilcox (Generation mPower) and Westinghouse, as well as newer entrants such as NuScale Power and Gen4 Energy, began realizing that small was smart and could be done economically, safely and more securely. Instead of achieving savings through economies of scale, costs would be reduced by standardizing components and manufacturing smaller reactors in a controlled factory setting. The reactors would be delivered to a site almost fully constructed. For utilities and the governments that have historically backed them, the idea of developing and financing bite-sized amounts of nuclear power as needed is a more attractive and politically acceptable option than swallowing massive cost and risk at one time. NuScale, for example, has designed a reactor that measures just 65-feet tall and nine feet in diameter and can generate 45 megawatts of power. Gen4 Energy’s reactor generates 25 megawatts and comes with enough fuel to operate 10 years, after which the entire 20-ton reactor is removed and replaced like a big battery. Both are built within an underground vault to improve safety and security. Many of the modular reactors being proposed use the same enriched uranium fuel as conventional light-water reactors, meaning they don’t address waste management issues as fast-neutron reactors do. Some, such as Flibe Energy, are choosing instead to use the radioactive element thorium, based on a fuel cycle developed in the 1960s but passed over because it couldn’t be weaponized like uranium. Flibe says thorium is four times more common than uranium and that 6,600 tons of thorium can provide the energy equivalent of 65,000 tons of uranium. Using the company’s reactor technology, a plant would generate 4,000 times less mining waste and up to 10,000 times less nuclear waste than a conventional light-water reactor using enriched uranium. Another bonus: Most of the nuclear waste produced (83 per cent) safely stabilizes within 10 years. The rest stabilizes in about 300 years. Again, this does nothing to address existing nuclear waste stockpiles resulting from the past use of uranium fuel. Our sun is a massive fusion machine with a gravitational pull so intense that the temperature it reaches is hot enough to fuse hydrogen nuclei into helium, releasing so much excess energy that it can sustain life on Earth from 150 million kilometres away. Humanity has been able to replicate this process in a two-stage thermonuclear bomb, with devastating consequences. The challenge is to achieve fusion in a controlled way to generate clean power with near limitless supply. It’s not as if we haven’t tried. The fusion pursuit has been ongoing since the 1950s, and over the decades some have even claimed success – and later been proven wrong. Remember cold fusion? National and international efforts since the 1980s include the $20-billion-plus International Thermonuclear Experimental Reactor (ITER) project located in France. It is targeting the commercial production of electricity via a nuclear fusion process by 2040. The elusive goal for all these projects is to achieve net gain, which is essentially getting more power out of a fusion reaction than it takes to sustain it. Ideally, for such a reactor to be commercially viable, one unit of energy supplied should deliver back more than 10 times and up to 40 times the energy. 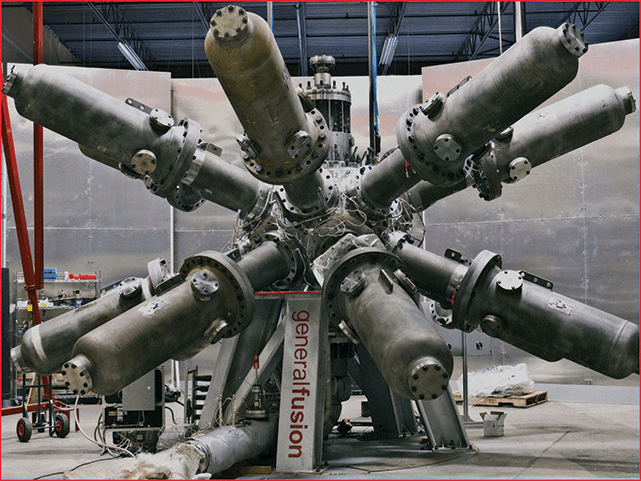 “Fusion is hard,” says Doug Richardson, chief executive officer of Vancouver-based General Fusion, one of several startups trying to do fusion power faster and at less cost than the ITER project. Richardson says his company hopes to demonstrate “near” net gain in a controlled way sometime over the next year and believes a commercial plant that supplies clean electricity to the grid is possible within 10 to 15 years. Among its investors are Amazon.com founder and CEO Jeff Bezos and Canadian oil firm Cenovus. Hopes for fusion have been raised in recent years because of the ITER project, says Richardson, but also because of the number of startups entering the field – such as Tri-Alpha Energy, Helion Energy and General Fusion – and the progress being shown by individual countries. So why is fusion better than fission? Run-away reactions and meltdowns simply can’t happen with fusion plants. And its main byproducts are helium, a harmless gas, and a short-lived radioactive material called tritium. It turns out tritium is one of two hydrogen isotopes needed to fuel a fusion reaction, so it can be captured and reused. The other isotope is deuterium, which is easily found in seawater. And we have lots of that.